With a good keyboard beneath your fingers, typing is a joyful experience. Particularly when you pick up a new keyboard — or upgrade an old one — you just want to type for hours. You could write that novel you’ve always had in the back of your head… but how about some games instead? Here are a selection of our favourites. 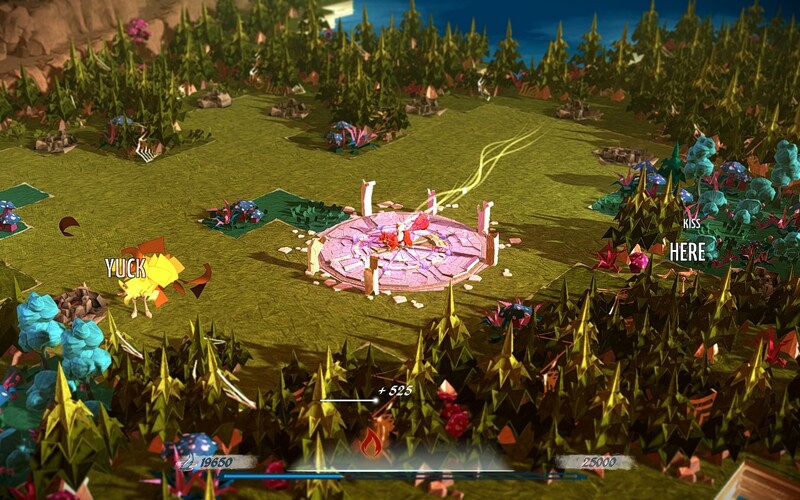 Epistory is billed as ‘an atmospheric adventure typing game’, where you sit atop a magical three-tailed fox and explore beautifully drawn landscapes. Exploring a paper-craft fantasy world, you type words to defeat monsters, unlock new areas and bash open treasure chests. It’s a relaxing experience, right up unto the point that monsters start pouring out of the woods and only machine-gun-style typing will push them back. The game starts slow, with three or four-letter words, but intelligently ramps up in difficulty to match your abilities. You can upgrade your vulpine mount’s speed, set monsters ablaze or pinpoint areas of interest, each new ability bringing new tactical possibilities. While the typing action is a satisfying test of your abilities, the world itself is the biggest draw here. The beautiful origami art style, occasional voice over from the protagonist and haunting music all add to the atmosphere. Of all the games on this list, it’s Epistory that I’m going to back to and finish — I need to know what happens! Epistory is available for £9.89 on Steam right now. 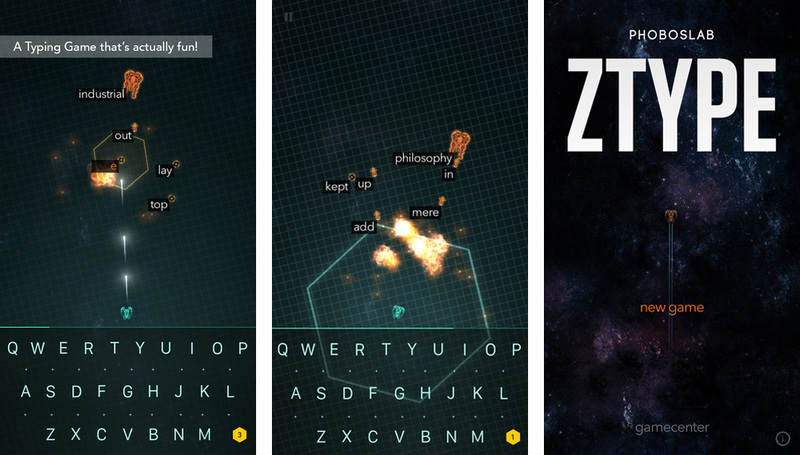 ZType is a typing space shoot-’em-up, where you have to defeat waves of alien invaders with rapid typing skills. The retro graphics and sound effects fit the theme well, and the action ramps up smoothly to accommodate novices and challenge experts. Unique among its peers, ZType is available on phones and tablets as well as on the web. This is achieved through a clever keyboard software embedded in the game, which allows you to type at speeds resembling a full keyboard. Of course, you can also use a Bluetooth mechanical keyboard if you really want to hit that high score. ZType can be played here for free, and is also available on iOS and Android. 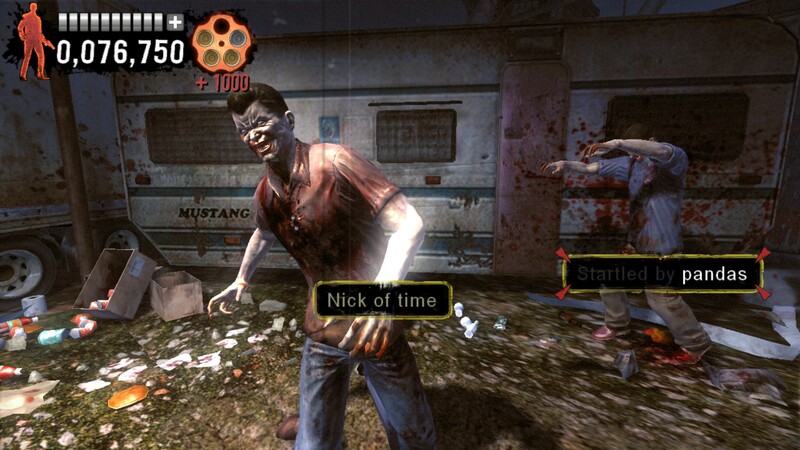 The Typing of the Dead is a classic game from ’99, first on arcade machines and most famously on the Sega Dreamcast. A simple conversion of a light gun arcade shooter called House of the Dead, you’re tasked with typing out words and phrases to dispatch on-screen (mostly zombified) opponents and progress through each plot-light, action-heavy episode. Overkill is a modern remake for PCs, and it provides a pretty decent workout for your fingers. The developers have made plenty of DLC too, so once you get tired of the (fairly substantial) base game, you can check out themed collections on the topics of science fiction, television, Shakespeare and many more. Sometimes the classics are the best. 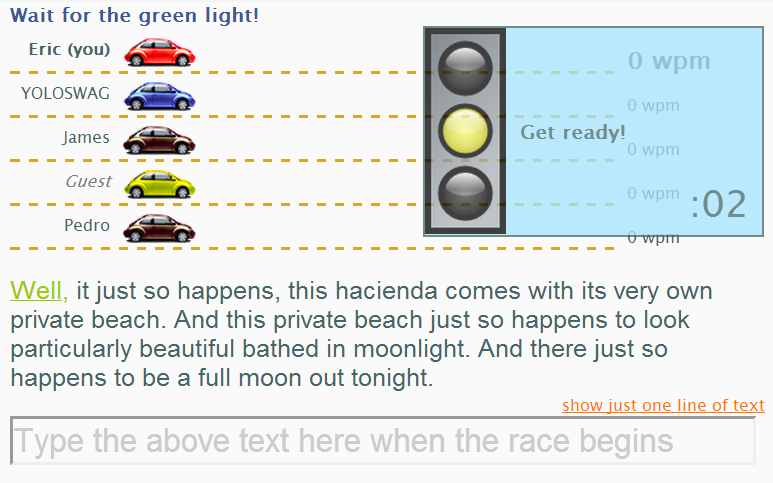 Type Racer is one of the best-known typing games, a multiplayer web game that challenges you to write a passage of text as quickly as you can manage. You’ll see your car zip across the screen as you go, and there’s a lot of pressure to keep pace with the other racers in your game. As well as randomised multiplayer matches, you can also challenge your friends or practice in a single-player mode. You can play Type Racer online here. Those are our favourites. What are yours? Let us know in the comments below!